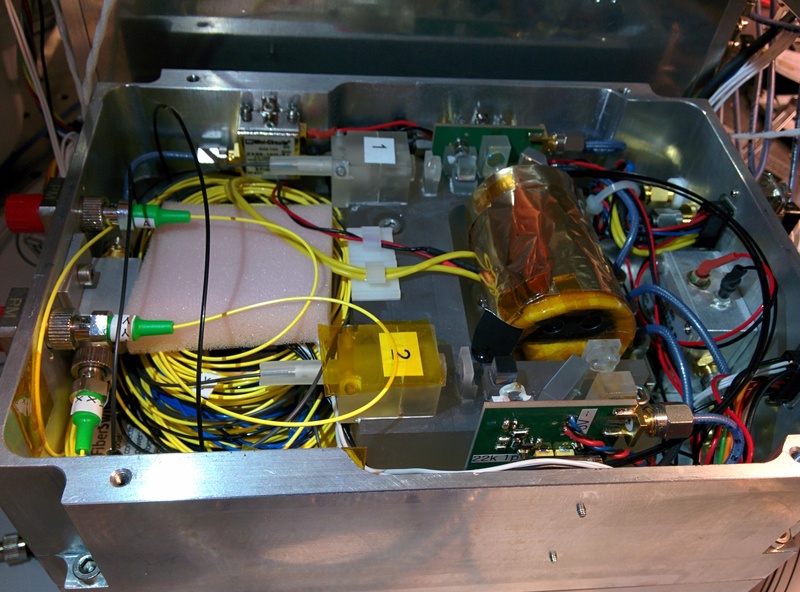 A laser system co-developed by scientists from Johannes Gutenberg University Mainz (JGU) has been tested successfully on board a sounding rocket during the TEXUS 53 mission. TEXUS, a German acronym for "Technological Experiments under Zero Gravity", is a science program financed and organized by the German Aerospace Center (DLR) with funds from the German Federal Ministry for Economic Affairs and Energy (BMWi). The program's rockets, which are launched from northern Sweden, reach a maximum altitude of 250 kilometers and provide six minutes of zero gravity. Up to five independent experiments from various disciplines can be carried out over the course of one flight. One of these is the KALEXUS experiment headed by Humboldt-Universität zu Berlin, which is testing a system to actively stabilize the frequency of laser light at an atomic transition in potassium for the first time. Frequency-stable light sources lie at the heart of a large number of experiments involving atomic sensors. These are used, for instance, in basic research to measure fundamental constants or laws extremely precisely and also for navigation and geodesy. In space, such light sources, which typically take the form of lasers, naturally have to meet very rigorous standards. Professor Patrick Windpassinger's team at the JGU Institute of Physics has developed and constructed a module for this project, which can actively stabilize the frequency of a laser relative to an absolute frequency reference. The stability required for deployment in space is achieved using the glass ceramic Zerodur® (Schott, Mainz). In the module, a laser beam is guided through a gas cell filled with potassium and the absorption by the potassium atoms is measured. This allows researchers to determine the frequency of the laser, which in turn allows to actively stabilize the frequency of the laser. The light source employed is an innovative extended cavity diode laser built by the Ferdinand-Braun-Institut, Leibniz-Institut für Höchstfrequenztechnik in Berlin. Researchers at Leibniz University of Hannover developed the required control electronics. The technology used in this experiment is an essential component of laser systems employed in numerous other space projects aimed at precision measurements, such as the MAIUS missions designed to test Einstein's equivalence principle. In addition to KALEXUS, the FOKUS – Fiber-Optic Frequency Comb under Zero Gravity experiment successfully completed another flight after its initial success in April 2015. Scientists from Mainz were involved in this project, too, developing an improved spectroscopy module for rubidium that combines different spectroscopic techniques. Integrating the two experiments, the scientists succeeded in comparing two optical clocks in space for the first time.